Portable propane (LP gas) fired Pitco and Imperial deep fryers can be delivered to your outdoor event or location. We have natural gas deep fryers available for rent too. Is your event indoors? 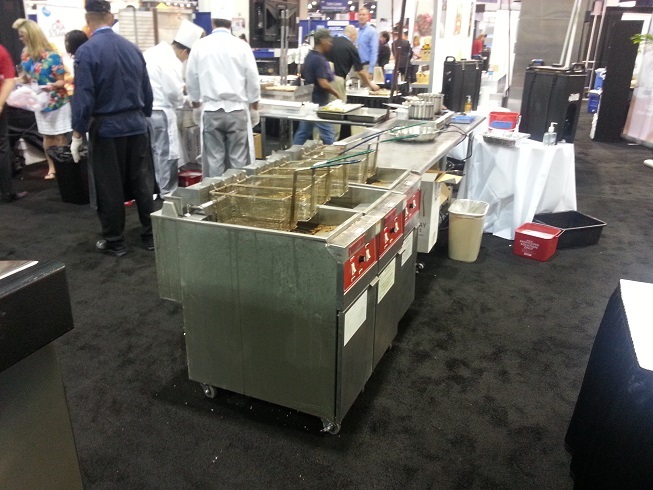 We supply electric counter-top and large 40 lb Vulcan electric deep fryers to convention centers and expo centers here in Las Vegas. The Winco 16 lb counter top deep fryers are 120 volt, 1800 watt, 15 amp. 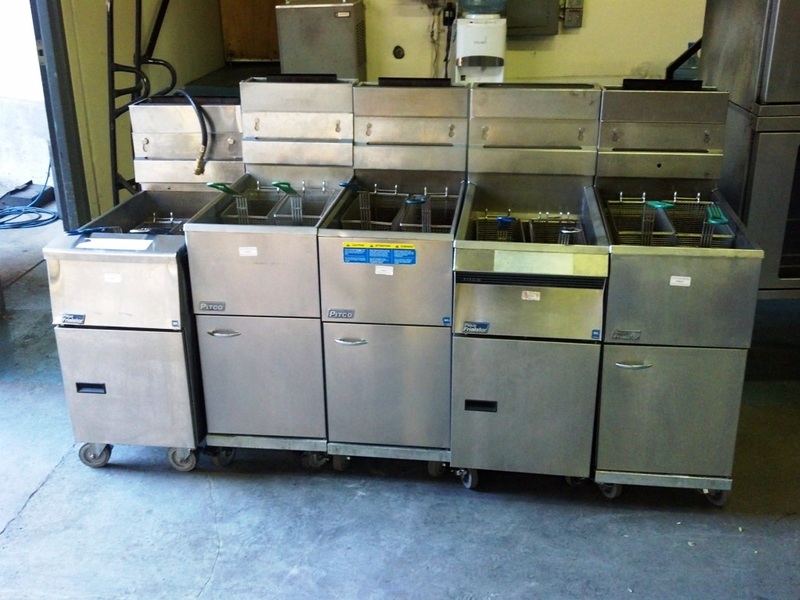 We also have 240 volt / 3 phase portable Vulcan deep fryers and 208 volt single phase Cecilware fryers on casters.